This beautifully presented fireplace is built from the finest Spanish and Irish Sandstone. It is shown here with Granite inlay and black frame on a raised hearth and hardwaring black granite centre for ease of maintenance. Colour and insert options are available. 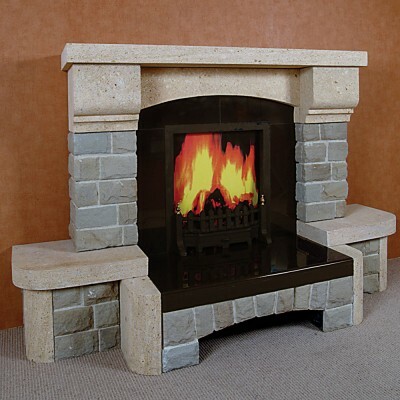 A large wall opening is required for this fireplace which is a breathtaking feature from Harding Fireplaces and would provide a stunning focal point to any room.